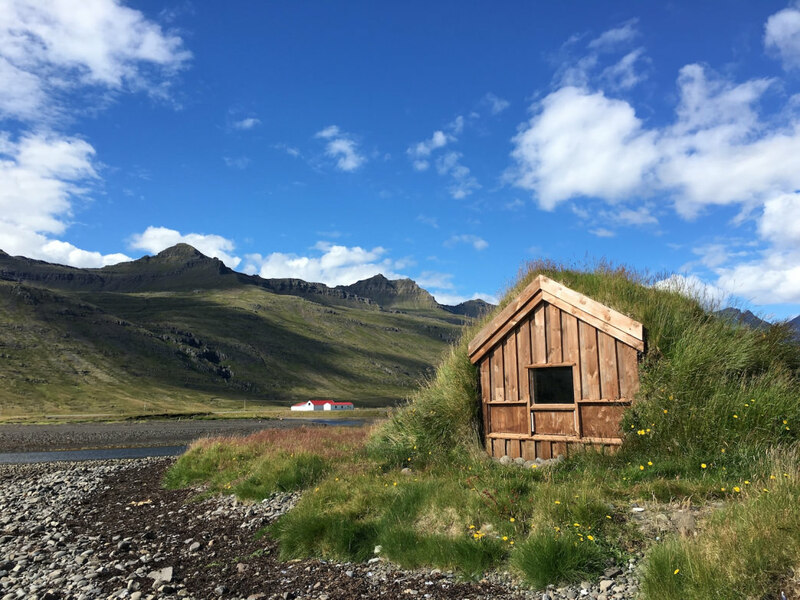 The world has fallen in love with Iceland. Travelers are flocking to this tiny island nation and filling their Instagram feeds with pictures of paradise. Waterfalls boom down mossy gorges. Hot pots gurgle up from steaming earth. Sheep stroll across velvet green hillsides. Black-sand beaches rim undulating coastline. Sea birds fluff and flutter on cliff perches. Glacial tongues lap down broad valleys. And lumpy lava fields cover nooks where elves and fairies may live. The bad news: The secret is out. 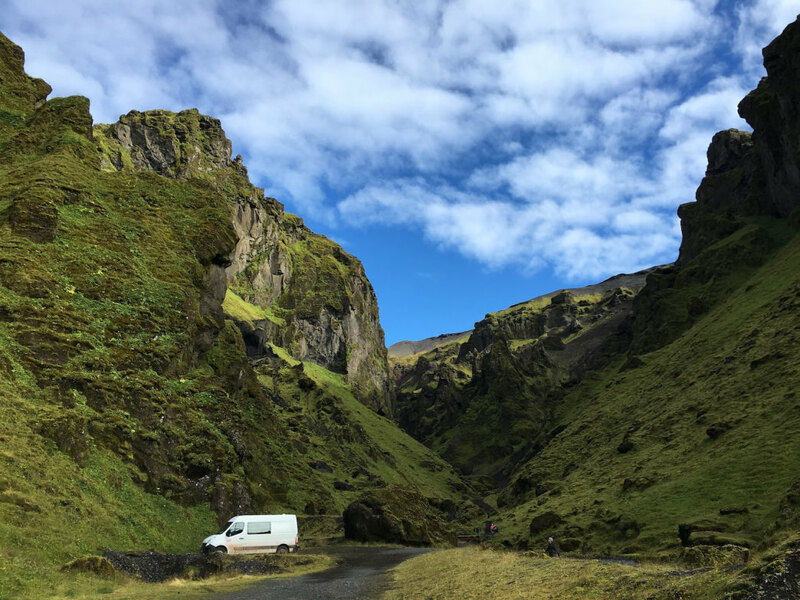 The good news: Exploring Iceland by camper van is a blast. Iceland is a volcanic island about the size of Kentucky in the North Atlantic Ocean. Its charm lies in remote, natural beauty and a sedate pace. The country has just 330,000 people, two-thirds clustered in the area around the nation’s capital, Reykjavik. This leaves plenty of room for 800,000 sheep. Well-maintained roads, plentiful campgrounds, and superlative vistas make for an outstanding road trip that will leave you beaming for years. 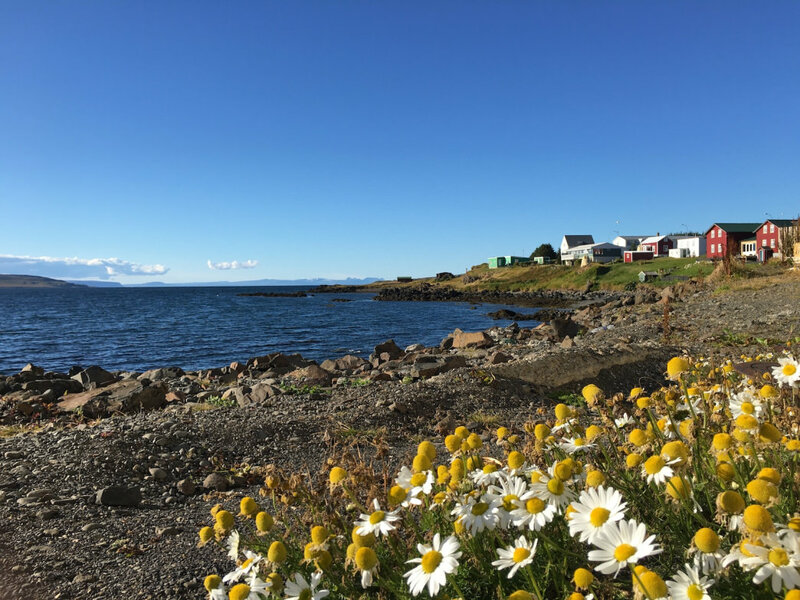 Here’s our no-nonsense take on how to make the most of Iceland by camper van. One advantage of traveling by camper van is you can wing it; you don’t need to book camping ahead. But failure to plan may lure you into stopping at every roadside attraction and feeling like you spend all of your time driving. Be strategic and anchor your trip with a few big hikes or other adventures. If you don’t like crowds, limit your time in southern Iceland, especially in the summer months. 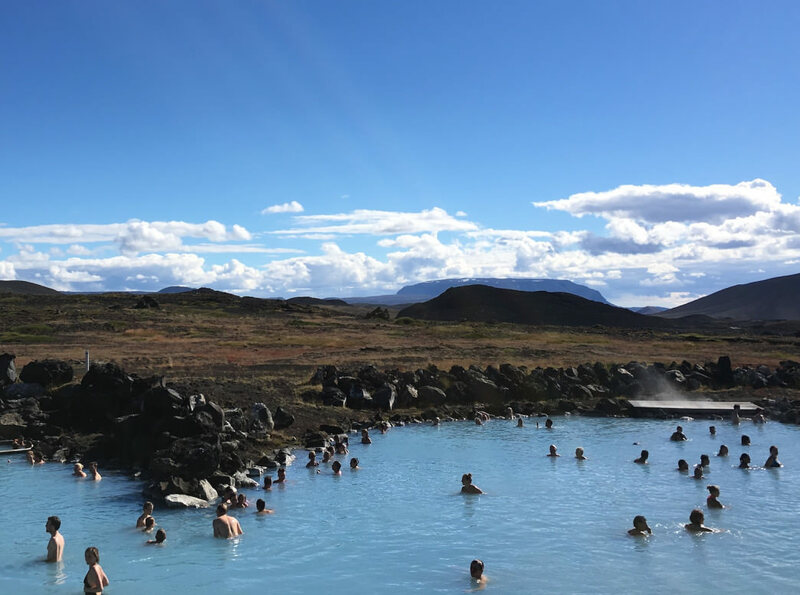 The Golden Circle is a circular route in southern Iceland that many bus tours knock off in a day from Reykjavik. It includes three main attractions: 1) Thingvellir National Park, which straddles the border of the North American and Eurasian continental plates (you can snorkel between two continents), 2) Geysir, where Iceland’s version of Old Faithful goes off every 10 minutes or so, and 3) Gullfoss, an awe-worthy waterfall. These sites are amazing, but they lose their luster when you have to jockey for platform space. If you just can’t help yourself, visit early or late in the day to avoid tripping over day-trippers. 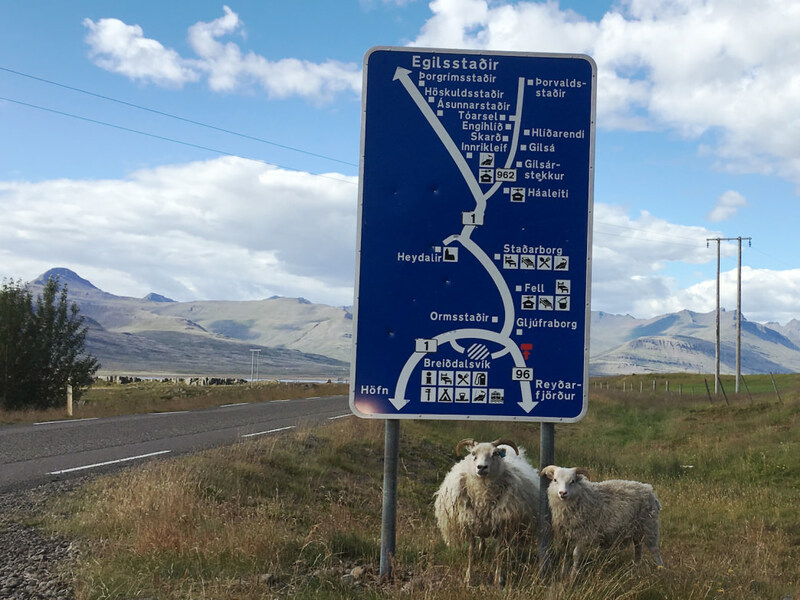 The Ring Road (Route 1) loops around Iceland in 830 miles, teasing people into thinking they can “do” the whole country in 7–10 days. Think again. The Ring Road is an excellent outline, but to do it justice you’ll want plenty of time to explore. Throw away all of the recommended itineraries and take it slowly. Some guidebooks say the driving is an adventure in itself. But you don’t want to speed your way through Iceland with nothing but a windshield view. Allow more time than you might think you need to plot a route. Place names and spellings are confusing, with many similar names, and variations on the same name. It helps to figure out that -austur at the end of a word means east, foss is waterfall, fell and fjall mean mountain, and jökull means glacier. 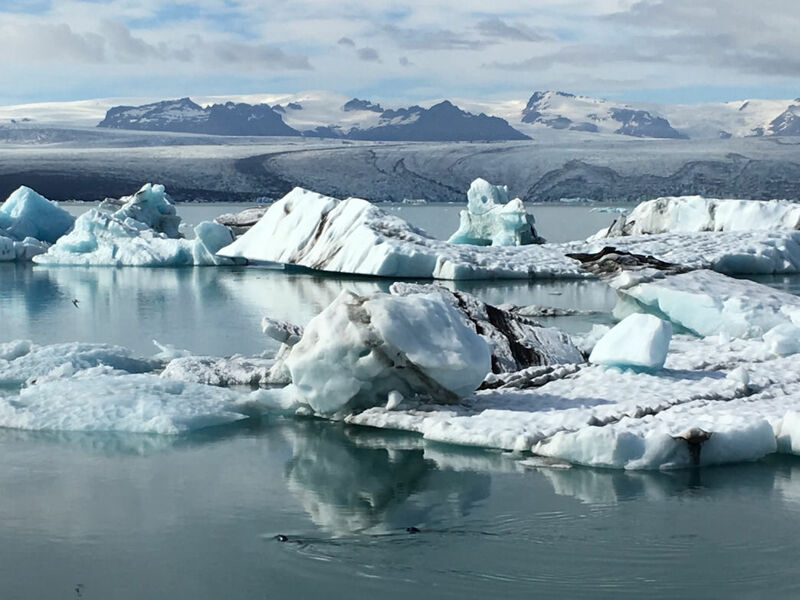 But it can make for heated navigation moments when you’re trying to decide at a glance if you should go to Hoffellsjökull, Fláajökull, or Heinabergsjökull. Signs are everywhere. Prepare for sensory overload. It might help if you memorize service sign icons before your trip. But even these can be bewildering. Confusing constellations of icons come flying at you from the roadside too quickly to decipher. You have to see it to believe it. The days of freedom camping are over. 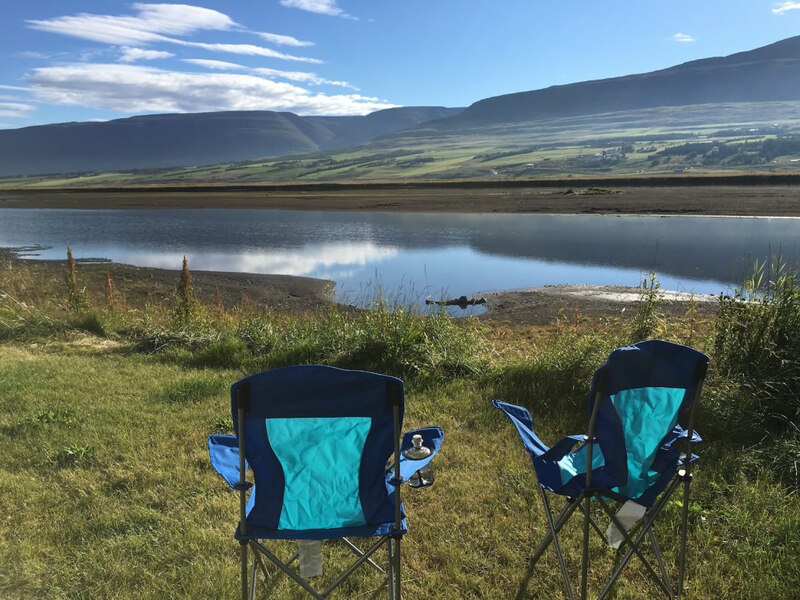 Responding to a spike in visitors, Iceland tightened camping laws in 2015. Now if you’re in a camper van, you have to stay in an organized campsite unless you have permission from a private landowner. Campgrounds are plentiful. People tend to cluster around the bathroom or power supply. If you prefer privacy, scout out a spot at the edge. 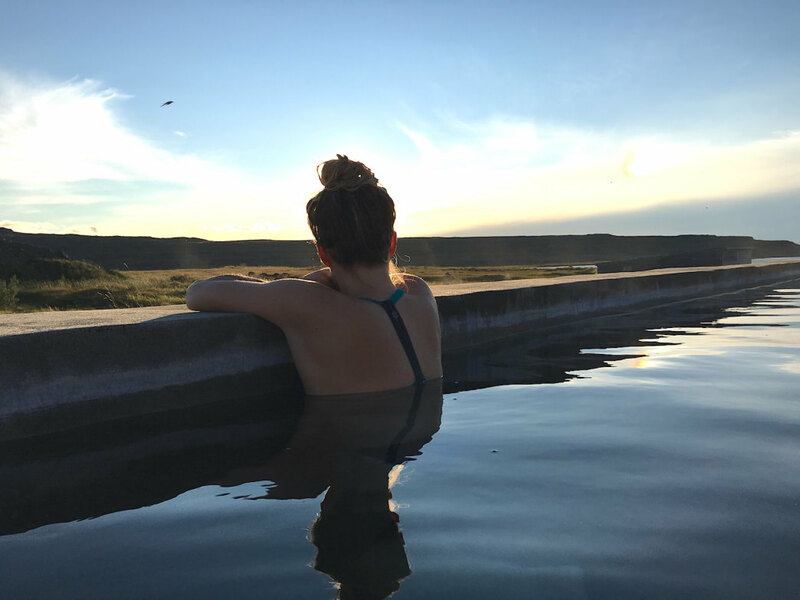 Dreamy, steamy pools of geothermal water invite you to sink into Iceland and imagine the fiery depths below you. You might even plan a whole itinerary around hopping in hot pots. Strict rules require thorough bathing before soaking. So don’t bother stripping your clothes at chilly campgrounds. Wash up at pool facilities instead. 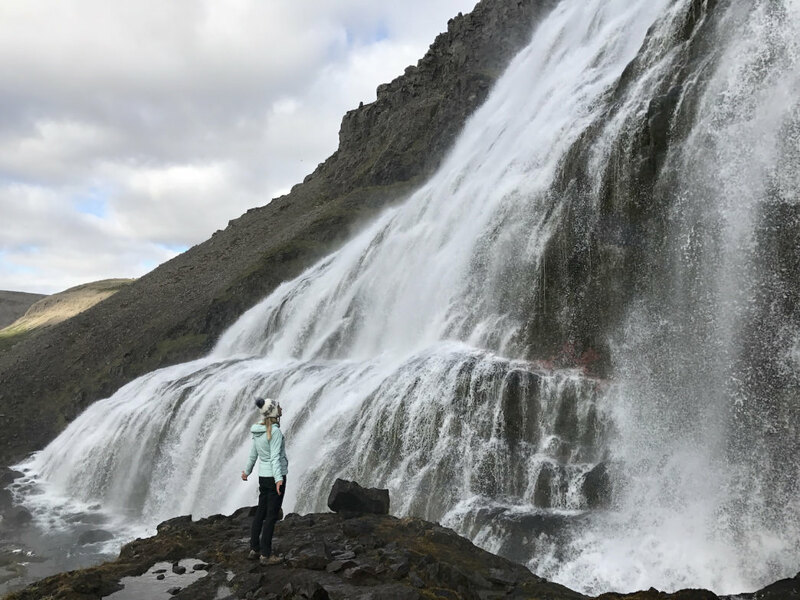 Waterfalls tumble down volcanic gorges at nearly every turn in Iceland. After a while, nameless 10-tier stunners garner barely a sideways glance. The mack-daddy falls are well marked, with parking lots and blazed trails. You’ll want to stop at a few, but don’t be surprised if you tire of traipsing to misty overlooks. Take a hike instead, and discover hidden gems on your own. Roads in Iceland are in good shape but narrow—usually two lanes with no shoulder. Familiarize yourself with the size of your van so you’re comfortable passing into oncoming traffic, crossing one-lane bridges, and driving past stray sheep. Expect to hit dirt if you leave the Ring Road. In the highlands, you need four-wheel-drive for F roads—high-clearance roads that don’t have bridges over rivers. Or you can sign up for a super-jeep tour. 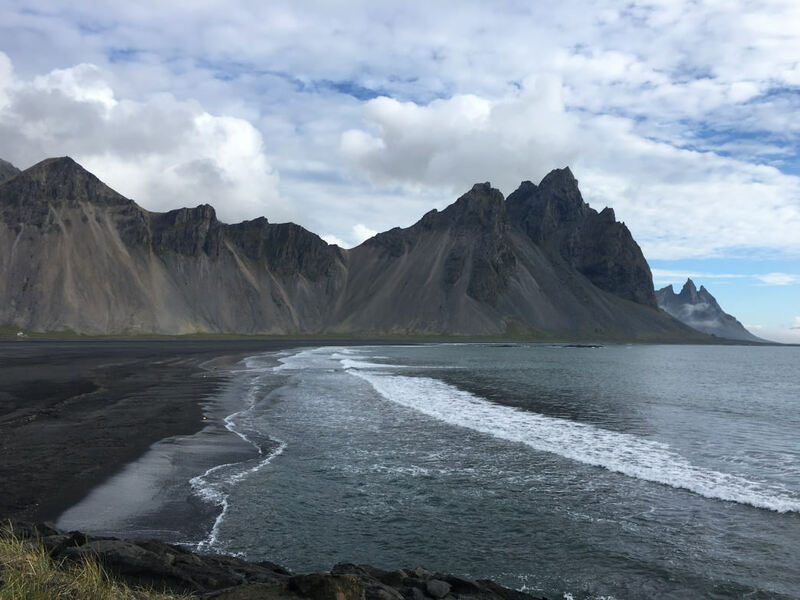 Book a couple of days in advance to take the car ferry between the Snæfellsnes Peninsula to Westfjords, quieter areas than the Ring Road. Snæfellsnes has a little bit of everything: waterfalls, lava fields, bird cliffs, even a glacier. 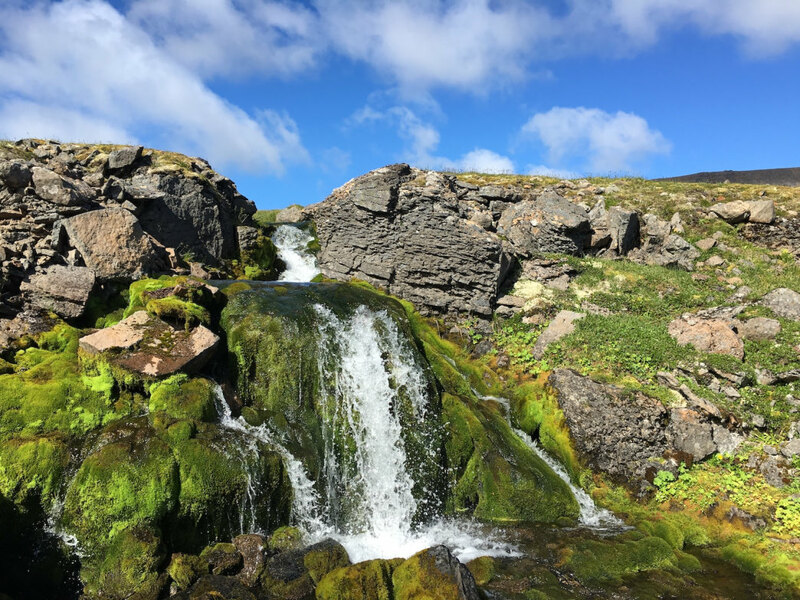 Westfjords is the westernmost tongue and least-visited region of Iceland, curling around undulating inlets like a piece of kale. Here, you’ll surrender to peaceful hay fields while counting sheep. To say Iceland is expensive is an understatement. You might drop $60 on burgers and beer for two. Campgrounds charge anywhere from $12 to $25 per person for the privilege of parking overnight on a grassy lawn and sharing a bathroom. Entrance to a geothermal pool might set you back $50 (some are free). Sure, you can skip some experiences to pinch pennies. But you don’t want to walk away from Iceland feeling like you missed out. When you pick up your van, assess the cooking potential and hit the grocery store ASAP. Many restaurants are tasty but pricey. The good news is that credit cards rule. You barely need cash. Make sure you have a card with a four-digit PIN to use automated pumps at gas stations. The challenge with Iceland is that so many sights are mapped out, you get sucked into following the crowd. We’re not including a list of must-sees here because the trick is to ferret out your own finds. Take your time, scour maps, and don’t try to drive too many miles in one day. Better yet, pick a few spots to hunker down and explore.